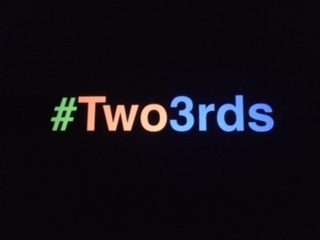 Podcast: #Two3rds: Is the AODA Eh O.K? In the second episode of #Two3rds, Scott Bremner and I speak with David Lepofsky, Chair of The AODA Alliance, (www.aodaalliance.org, @aodaalliance, #AODAFail) lawyer and accessibility advocate about the implementation of the Accessibility for Ontarians with Disabilities Act, 2005. Give it a listen here. *Note: While the volume is a bit inconsistent, due to unforeseen technical difficulties that we’ve since learned from, please stay with us. We felt this interview was too good not to share. Cheers.